Successfully saved Garlic Naan Grilled Cheese to your Calendar. You can also save the ingredients to your Grocery List. 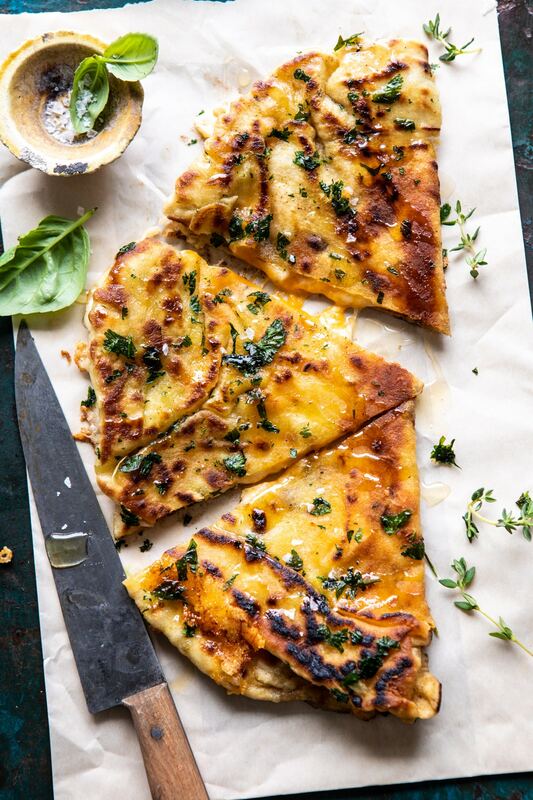 Homemade naan bread, garlic butter, fresh herbs, and cheddar cheese are all cooked together to create a simple, but delicious grilled cheese sandwich. It's garlicky and buttery on the outside, full of cheesy goodness inside, and takes just 15 mins to make.